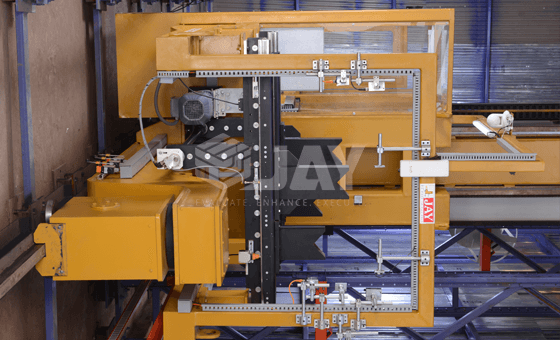 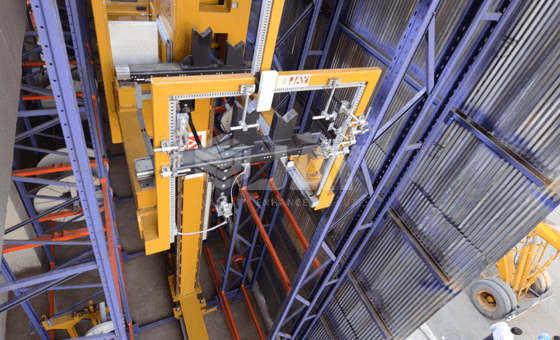 Stacker cranes are machines designed for the automated storage of warehouse materials. 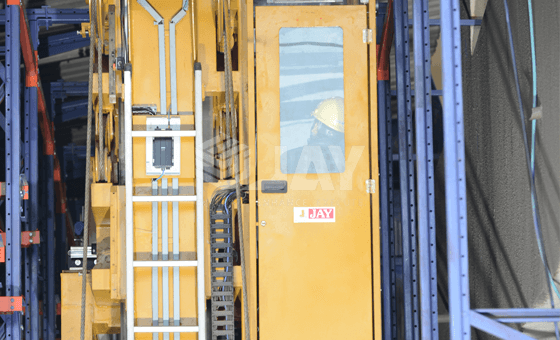 They travel along the aisles of the warehouse, where they enter, position and extract materials. 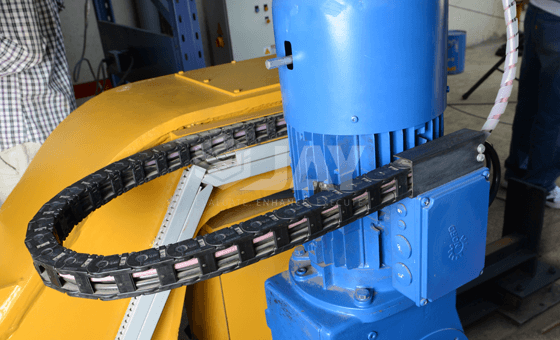 The material is entered and extracted in the same movement (this is known as a combined cycle). 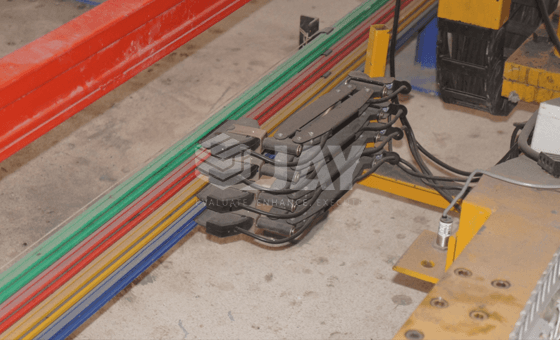 This increases the productivity of the installation at the same time reduces the resources required for it to function. 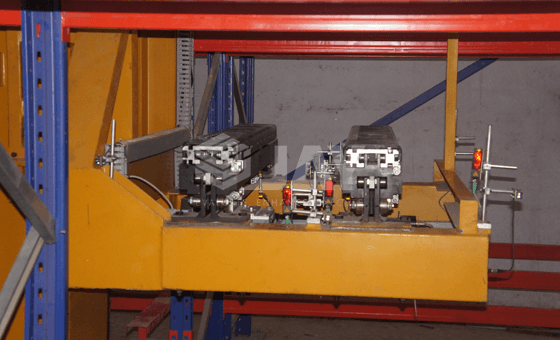 Longitudinal: on the rail along an aisle. 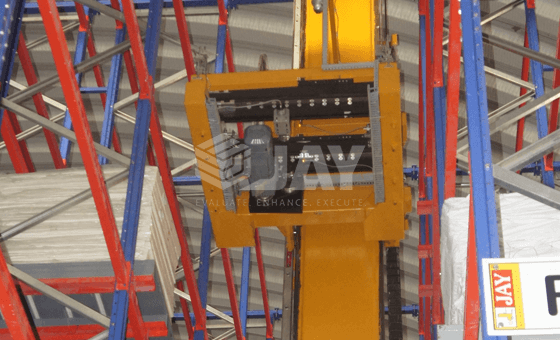 Transversal: or in depth, performed by the extraction systems fitted to the cradle of the machine in order to extract or position a pallet. 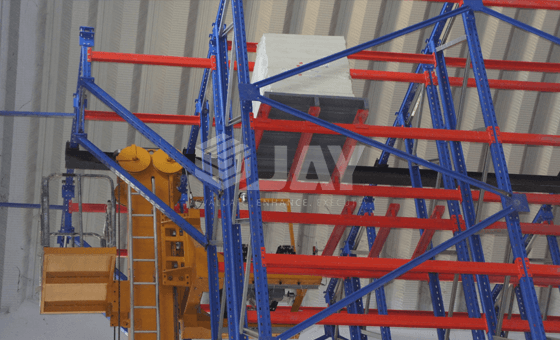 Single Mast for pallet load weight up to 1000kg. 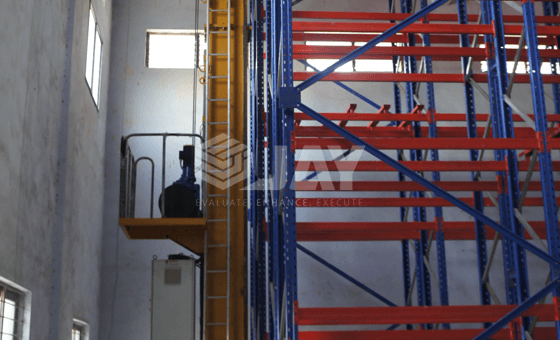 Twin mast for pallet load weight up to 1500kg. 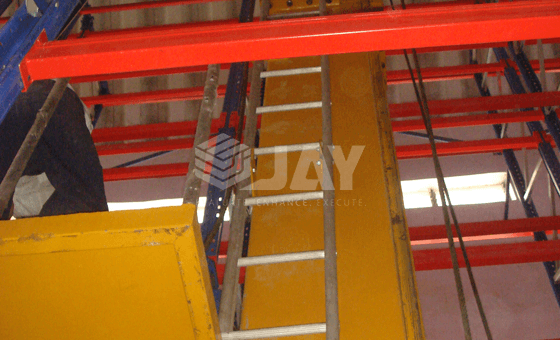 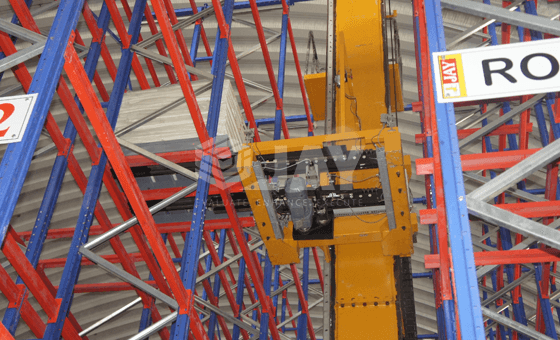 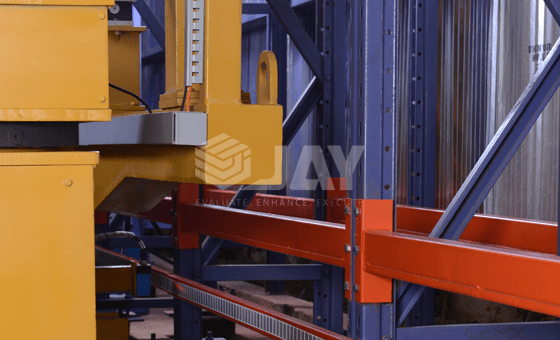 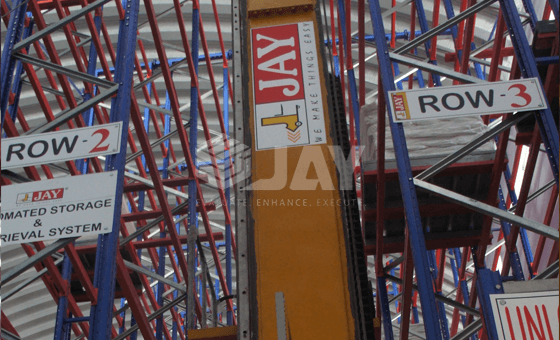 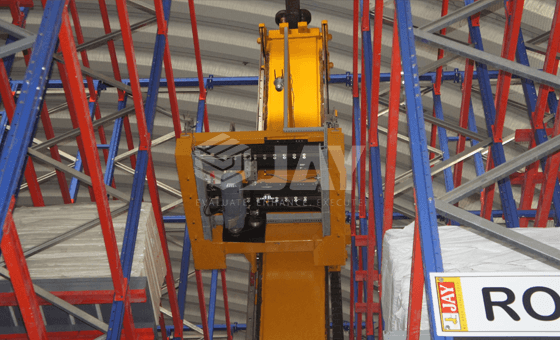 Jay Storage Solutions’ stacker cranes for pallets are state-of-the-art machines with commands operated by vector-controlled frequency variators with positioning control by means of laser telemeters and intelligent control by PC or PLC. 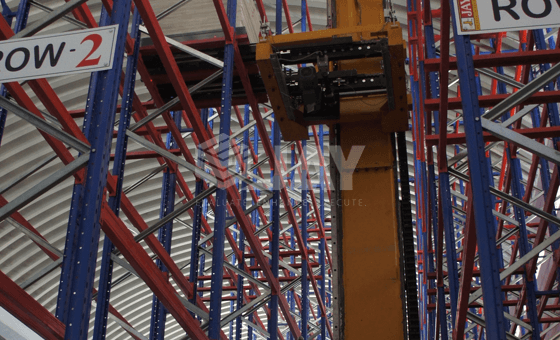 The range of stacker cranes adapts easily to the needs of each warehouse in terms of load capacity, dimensions, building height and cycle times, and so are able to offer a huge range of applications. 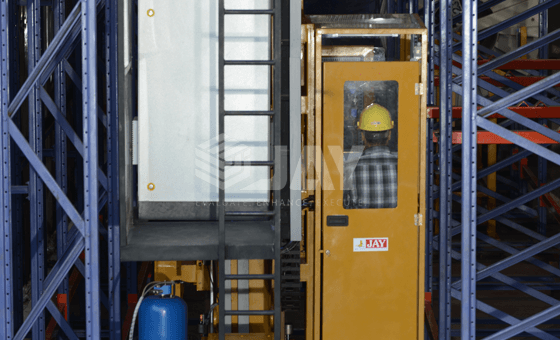 All of these systems can be adapted to special working. 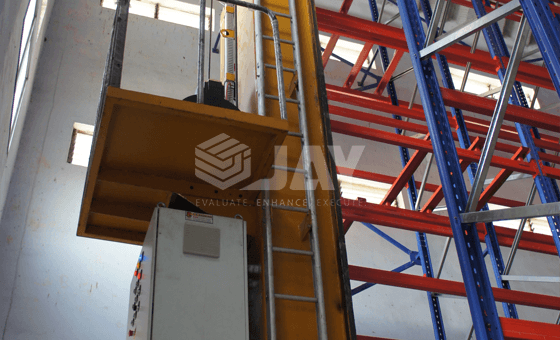 All of these systems can be adapted to special working.